Your articles have been really pro KRA in the past 2 years. You must be obviously working for KRA now. You publish #### now. This saying horses drop down a class in the new ratings system is rubbish. You name a horse that has dropped points to go in lower class. We are professional handicappers (punters) in Singapore and watch the KRA ratings points. NOT ONE horse has dropped points to drop a class. Stop publishing rubbish to suit your KRA employers. You’d better notice that horses’s pace ability and track speed index. And which horses are favored in certain track …meaning fast or slow track. Me korean horseplayer doesn’t trust much and don’t rely on Rating. There you.can see at least number..
Then, You might be right. But looking for some juicy opportunities to make some money. then it is the time. then I ll translate it into.english …and email to you. I simply stated the fact that the editor of this site, continuesly states on articles that horses drop ratings points to race in a lower class. I only asked, name 1 horse that has dropped points to race in a lower class!! I am not blaming the editor of Korean handicappers incompetence doing a rating system, simply questioning the truths of his articles. He is reporting false facts for KRA benefit. We do VERY well punting on Korean horses, with the use of MANY instruments for our punting. but the editor of this site is reporting INCORRECT facts. I am very surprised the editor cant reply to my comment himself. Just name 1 horse that has dropped points/then class, like he’s reporting. Hi Chang, Thanks for your comments, what I’m talking about is a number of horses are now running at a lower class than they used to which in the past wouldn’t be possible. Whether it is a good thing is open to question, we’ll see. As an example, Strictly Two Step was promoted to class 1 last November but when he was assigned a rating, he was at class 2 again. Up until this month, he would have been at class 1 forever. It may not be exactly what you are driving at but I wouldn’t say it is incorrect to say that the horse is running at a lower class than he was before. You know what Im driving at. Just name 1 horse that has dropped rating points (after racing) then dropped down a class since the new rating system started? You’ve side stepped the question. Horses have dropped in class when given a rating. Name 1 horse that has dropped rating points (after racing) then dropped down a class? You are reporting false information for KRA benefit. We are a Singapore betting syndication that recognize ratings that we have here, Hong Kong, Australia and rest of the world. 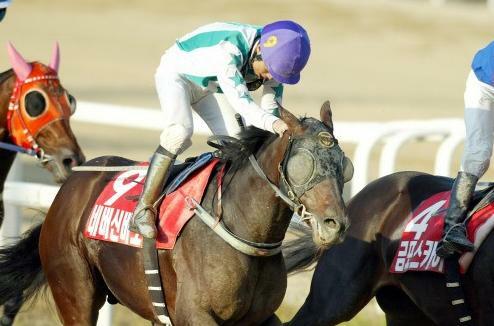 What Korea racing (KRA) have is nothing but bullsh.t! Whoever set it up, certainly don’t know what they are doing! And you are applauding it! You must be getting paid by KRA. Gyongmaman, Your lack of reply just shows your lack of knowledge of the Korean ratings system, you keep on writing about. You have lost all creditability for knowledge of horse racing, but just a Englishman puppet for KRA. Why write about something you dont know anything about, and giving INCORRECT information?